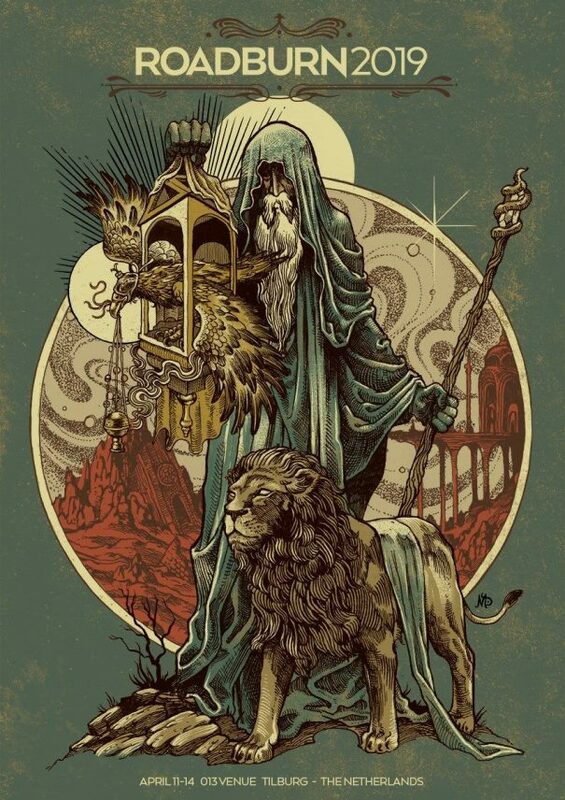 Roadburn Festival 2019 will take place at 013 in Tilburg, The Netherlands on April 11-14, 2019. At The Gates, Mono and Triptykon are among the bands that will perform at Roadburn Festival 2019. 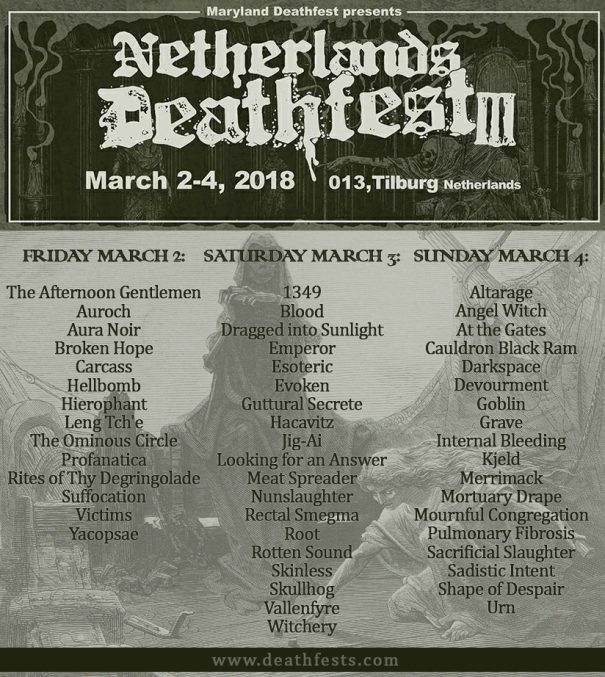 Netherlands Deathfest 2018 will take place at 013 in Tilburg, The Netherlands on March 2-4, 2018. Party.San Metal Open Air 2016 will take place in Schlotheim, Flugplatz Obermehler, Germany on August 11-13, 2016. Carcass, At The Gates and Sodom are among the bands that will perform at Party.San Metal Open Air 2016 festival. Gefle Metal Festival 2016 will take place in Gasklockorna Gävle, Sweden on July 15-16, 2016. Kreator, Abbath and Overkill are among the bands that will perform at Gefle Metal Festival 2016. Witchfest 2016 will take place in Johannesburg, South Africa on March 25-27, 2016. At The Gates, Origin and Cattle Decapitation are among the bands that will perform at the Witchfest 2016 festival. Damnation Festival 2015 will take place in Leeds, UK on November 7, 2015. At The Gates, Asphyx and High On Fire are among the bands that will perform at the Damnation Festival 2015 festival. Leyendas del Rock 2016 will take place in Villena, Alicante, Spain on August 10-14, 2016. Helloween, Venom and Steel Panther are among the bands that will perform at the Leyendas del Rock 2016 festival. Summer Breeze 2016 will take place in Dinkelsbühl, Germany on August 17-20, 2016. Sabaton, Exodus and Subway to Sally are among the bands that will perform at the Summer Breeze 2016 festival. Metaldays Festival 2016 will take place in Tolmin, Slovenia on July 25-29, 2016. Kreator, Krisiun and Septicflesh are among the bands that will perform at the Metaldays 2016 festival. 70000Tons Of Metal 2016 will be sailing from Fort Lauderdale, FL to Falmouth, Jamaica on February 04-08, 2016. Children Of Bodom, Sodom and At The Gates are among the bands that will perform at the 70000Tons Of Metal 2016 festival. Rockstadt Extreme Fest 2015 will take place in Rasnov, Romania on August 12-15, 2015. At The Gates, Enslaved and Kataklysm are among the bands that will perform at the Rockstadt Extreme Fest 2015 festival. Getaway Rock Festival 2015 will take place in Gävle, Sweden on August 06-08, 2015. Helloween, Sepultura and HammerFall are among the bands that will perform at the Getaway Rock Festival 2015 festival.